EMCO manufactures 1-phase and 3-phase Locomotive Transformers upto 7500 kVA, 25 kV class, which is the largest rating being used in India. It's one of the few manufacturers who have been approved by Indian Railways. Transformers are low weight and compact in size. 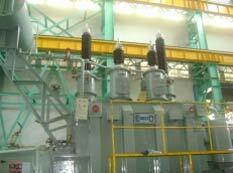 EMCO manufactures Traction Power Transformers for the Indian Railways upto 42 MVA, 220 kV class. 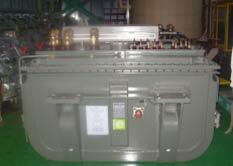 These transformers are single phase double limb wound construction and are specially designed and tested to withstand frequent short-circuits and overloading.